The SPINEL 3G high performance surgical C-arm is now available for veterinary practices. 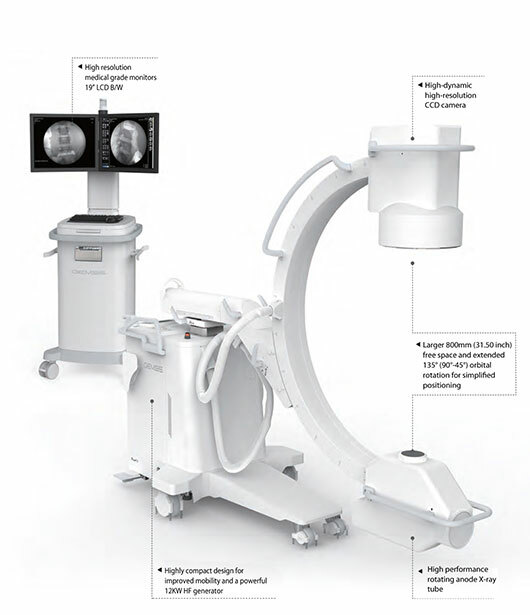 The Surgical Imaging market demands increased functionality and improved clinical applications and SPINEL 3G delivers. Additional sub-handles and a minimized footprint; intui- tive pictographic UI; superior image quality (from the smallest detail to L-spine lateral projection); and lower dose; these are just a few of the advances of the SPINEL 3G.